I love it. I adore it. I love feeling like a stranger in my own land. It’s like overseas travel without the 16 hours in cattle class and the baggage staff using your guitar for hammer throwing practice. And your suitcase arriving inexplicably in Minsk. My go-to story here occurred one night when I was filled to overflowing with the joy of life, drifting slowly around the main drag and back lanes, drinking in the balmly evening air, and as an extroverted sensate, absolutely being pounded through at least ten senses with masses of raw data into an also raw body that was so open, so wanting to sense everything. And when I’m in this mood, I sense beauty everywhere. Everywhere. I haven’t seen ‘American Beauty’ for a long time, but a dodgy memory tells me that Kevin Spacey does a monologue about beauty and how overwhelming it can be. It’s never that way for me. I’m not overwhelmed; I’m filled up, but never sated. I’ve only ever created one internet meme and it was from a picture I took on Manly Beach at the eastern end of the Corso. It was early morning and I’d taken a panorama shot encompassing early morning board riders, beautiful young things jogging or walking past, a few people sitting on the wall, and one lovely young mother pushing her child in one of those all-purpose, all-terrain push chair/stroller that converts into a pram, jeep and RPG-launcher. And I took that shot, with its skewed, panoramic perspective on the straight-edged reality of the stone wall, and I wrote words to the effect of: ‘Happiness is a place where you can appreciate all the beauty in the world without wanting to shag it’. It resonated for many people at the time. My go-to story. I was getting there. Circuitously. I was drifting down the Corso, east to west, stopping to pick up litter, having little chats or smiles or nods, when I stopped at an ATM to get some cash. There were three gorgeous young women in front of me, one each at either ATM, and one in the shotgun position behind them. But the last of these was not very focussed on her turn in line, because when one of the front two peeled off, she was still lolling her head and gazing off into the middle distance in the most attractive manner. I hadn’t heard any of the three women say a word. They were wearing very neutral clothes (and looked three x a million dollars). No Eiffel Towers or Je Ne Sais Quoi motifs. They all three swung around towards me. And they were all French. Three friends travelling together. None of us could work out why I had asked if the third one was waiting in French. None of us could work out why I had asked in French if the third one was waiting. 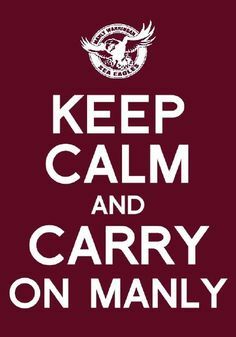 Manly, Manly, Manly. 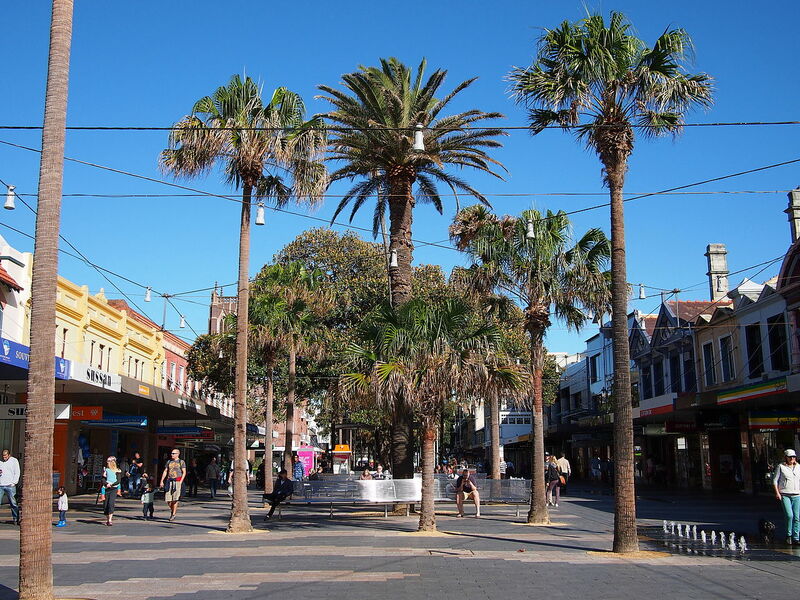 Good things happen in Manly. Bad things happen in Manly. 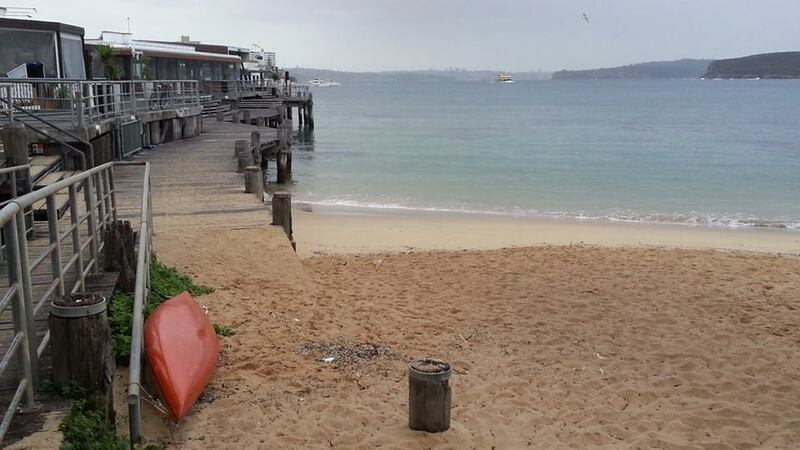 Indifferent things happen in Manly. But for me, much more good happens than bad. 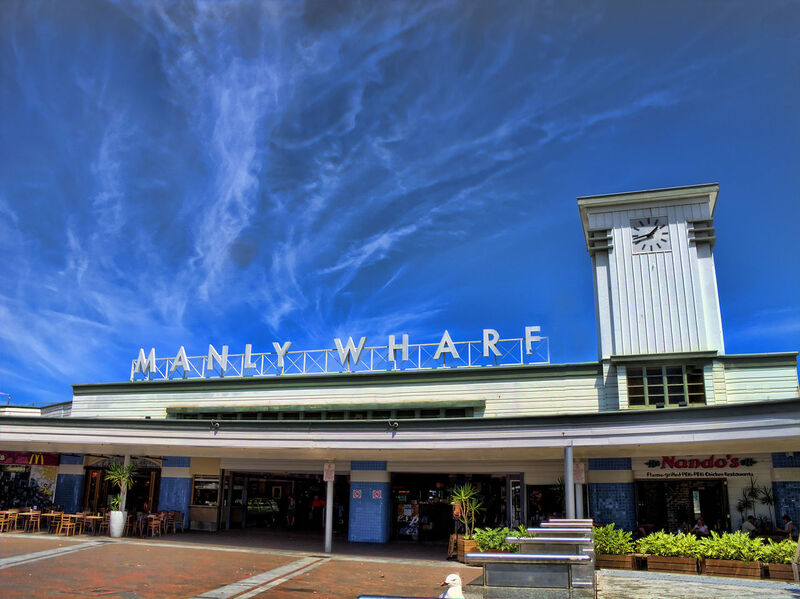 On Thursday 7 February 2013, something amazing happened to me on Manly Wharf. I sat down next to two blokes having a chat, and asked if I could pinch a bit of their table space. Hilarity then ensued as we three did something of a comedy routine about soaring land prices on the Wharf, and was I really interested because other people were looking, in fact there’s a lovely couple from Engadine about to make an offer. We repeated the dose when I left about half an hour later. I love how some comic routines occupy shared space and just roll out unscripted like this. It’s a constant joy. As I left I added a bit of spice to the mix of our repartée. I asked Brian if I could return the next day and interview him. He did not skip a beat, and said absolutely and of course, as I had reasonably guessed he would from my inevitable ‘overheard’ production. Billy Bragg, Harry Manx and Myf Warhurst, I love your guts, but those crowning glories in my interview kit bag are all also-rans when compared with my 21 minute chat with the extraordinary ‘Brian’. I’ve been back to that part of the wharf many times hoping to see him and ask what he thought of the interview, but maybe it’s as planned. I’ll update his tales in 2033.